Don’t forget to put your bins out if you want a collections over the August Bank Holiday. revised collection day. 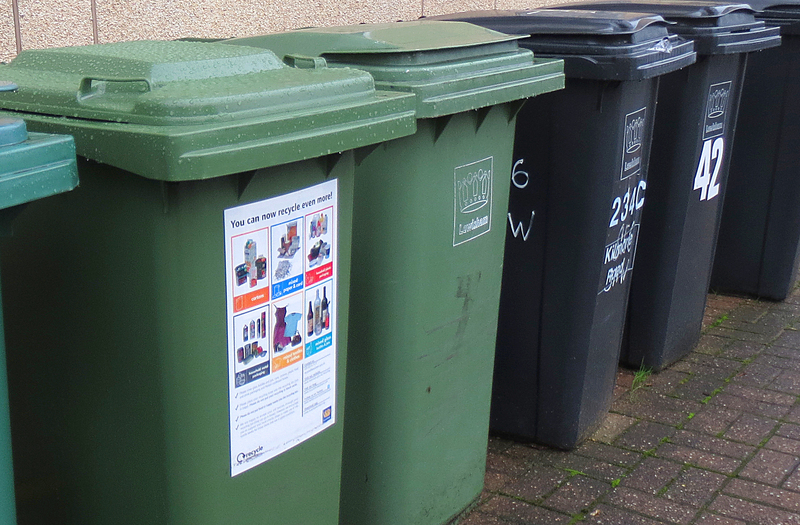 Remember, if the bins are not at the boundary or inside edge of your property on collection day, we will assume that you are on holiday or do not require a collection. Categories: Uncategorized | Tags: August banks holiday bin collections, bank holiday collections in Lewisham, bank holiday refuse collections in Lewisham, Bin collections, Lewisham bin collections | Permalink. As with all bank holidays, there is expected to be some catching up by the refuse and recycling crews around the borough which will affect the days on when we would like to see the bins being brought to the inside edge or the boundary of your property. Below is all the in formation you need regarding collections over the May bank holidays for the week commencing Monday 05th May 2014 and again the week commencing Monday 26th May 2014. Don’t forget to put your bins out a day later if you want a collection over the May bank holidays. Categories: 180l bins, Uncategorized | Tags: bank holiday collections in Lewisham, bank holiday refuse collections in Lewisham, bank holidays, bank holidays in Lewisham, Lewisham bank holiday collections, Lewisham Recycling Service, Lewisham refuse service, refuse and recycling collections in Lewisham, refuse and recycling collections on Bank Holidays | Permalink. There will be a few changes to collections over the Easter period. Please see the information below on how this will effect collections in your area. Categories: Uncategorized | Tags: bank holiday refuse collections in Lewisham, bank holidays, Easter collection, refuse and recycling collections in Lewisham | Permalink.